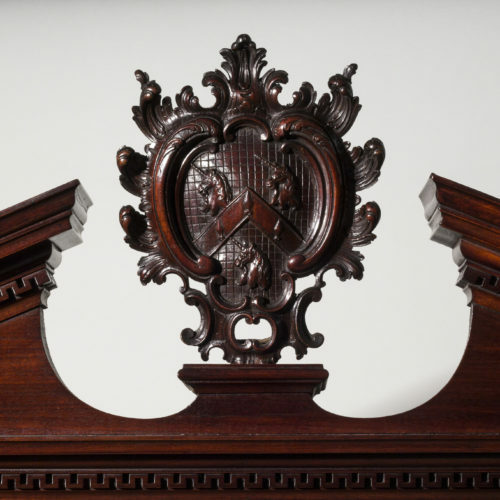 Detail of an important Chippendale period mahogany bookcase, bearing the coat of arms of the Wrights family of Nottingham, circa 1750. 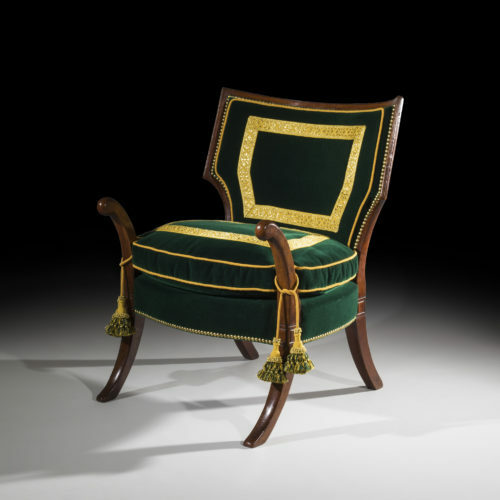 Rare and unusual Regency period Officer's 'Klismos' armchair, circa 1800. 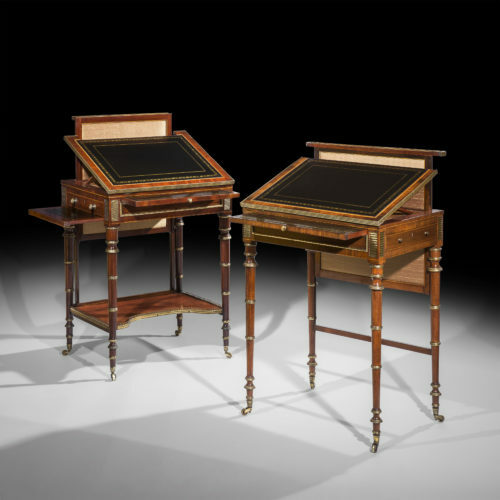 Fine matched pair of early Regency period gilt brass mounted writing tables, firmly attributed to John McLean, circa 1800. 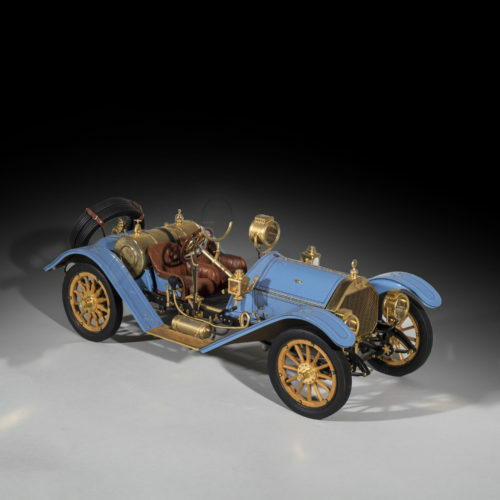 A very fine, limited edition 1/8 scale model of 1913 Mercer 35J Raceabout by Sapor Modelltechnik. Sharing our passion for antique furniture, fine and decorative arts, we buy and sell fine English furniture from early 18th to early 19th centuries, and occasionally decorative objects.